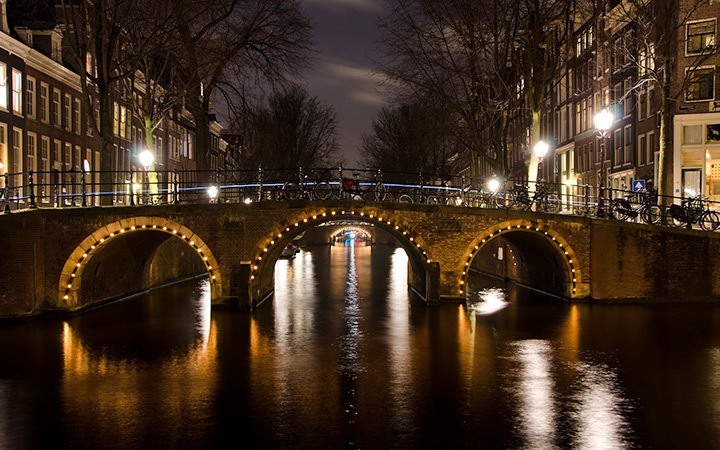 A city of 1500 bridges, 50km of canals and more bikes than people, Amsterdam is one of Europe’s most popular cities with visitors from around the world. 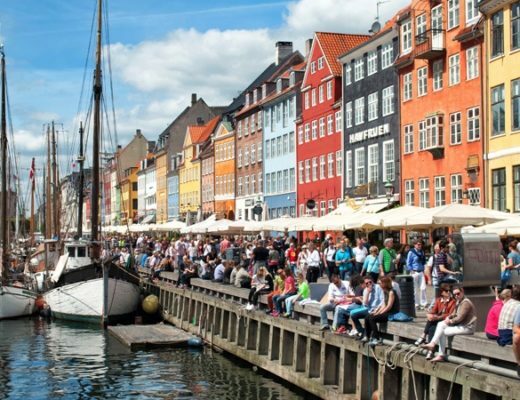 Along with its beautiful gabled houses and flower-decked watersides, there’s an enormous amount to see and do, whether your interests are more Golden Age art or graffiti, high culture or getting high in a coffee shop. But this wealth of amazing experiences doesn’t have to come with a huge price tag attached to it. So here are my top tips for making the most of Amsterdam on a budget. Amsterdam is synonymous with its canals, and one of the best free things to do in the city is get out and get lost among them. The city is centred around the UNESCO-listed Canal Ring, where three canals form a horseshoe shape around the old centre. Beyond that there’s Jordaan, a former working-class area now full of galleries, restaurants and boutiques among some of the prettiest stretch of canal. Or hang out in the cafés of De Pijp, a district with a young, creative feel that’s is home to the Albert Cuypmarkt street market. You can also visit the Jewish Quarter for the Waterlooplein flea market, zoo and botanical gardens. If you want a break from canals, the city also has some lovely parks – ranging from the huge Vondelpark (which hosts free events in its open-air theatre on weekends from May to September) to the peaceful Begijnhof, a pretty courtyard surrounded by 14th-century cottages. To learn a bit about the city’s history, several companies run free walking tours where you just tip your guide. Sandeman’s New Amsterdam Tours do a 3-hour city highlights tour leaving from the National Monument in Dam Square several times a day. Original Amsterdam Tours run a 3-hour city history walk and an ‘Alternative Amsterdam’ tour of street art, coffee shops and squats in some of the city’s lesser-known areas. Both depart opposite Madame Tussauds at 2pm. For classical music fans, there are free half-hour lunchtime concerts at the Concertegebouw concert house at 12.30pm on Wednesdays (mid-September to June). Some feature the full orchestra rehearsing and others have young musicians. There are also similar concerts on Tuesdays at 12.30pm (September to May) in the foyer of the Dutch National Opera and Ballet. Or if you prefer jazz, the Bimhuis venue at the Muziekgebouw holds free Monday Match improvisational evenings at 8.30pm on the first Monday of the month and weekly Tuesday workshops at 8pm (where any musicians can join in) followed by a 10pm jam session. Entry to Amsterdam’s big-name museums – like the Rijksmuseum, Van Gogh Museum and Stedelijk modern art museum – costs around €18 per person (entry is free for under 18s). 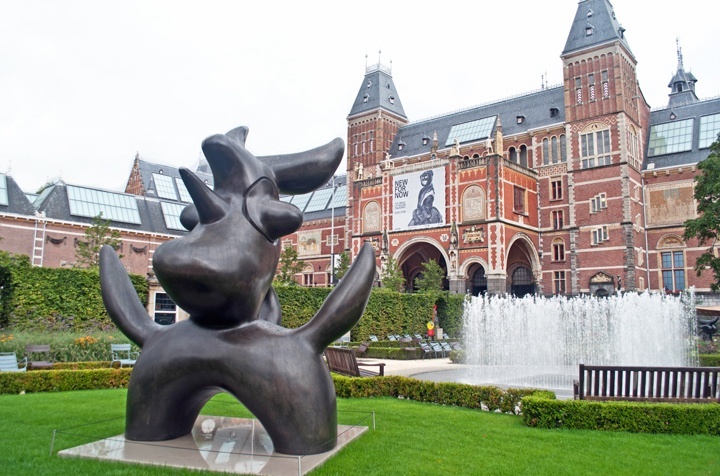 Though you can check out the sculpture gardens surrounding the Rijksmuseum for free. You can book museum tickets online in advance, which won’t save you money but will help you skip the ticket queue. It’s an especially good idea at the Anne Frank House as you get a timed entry slot that lets you can bypass the long queues that often stretch right down the street (entry costs €10 for adults, €5 for children 10-17 and free for under 10s). If you’re planning on visiting a lot of museums, there are a couple of discount cards available which can save you money. The Amsterdam City Pass costs €56 for adults (€24 for children 13-17 and €18 for 4–12s) and includes skip-the-line access to the Rijksmuseum and the Van Gogh Museum, as well as a canal cruise and tickets for the airport train. Or the I Amsterdam card gives you free entry to over 60 museums and attractions, plus a free canal cruise and unlimited public transport on the trams, buses and metro. There are four different versions: 24 hours (€59), 48 hours (€74), 72 hours (€87) and 96 hours (€98). 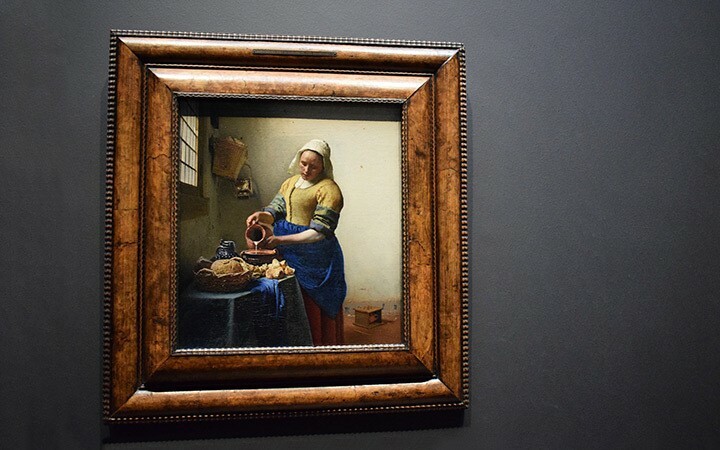 For a free taste of culture, head to the Schuttersgalerij or Civic Guards Gallery, where 15 Goldern Age paintings, similar in style to Rembrandt’s Night Watch, line a covered street near the Amsterdam Museum. In a modern building on the riverside, the EYE film museum has a free basement cinema and private viewing pods. It’s free to get there too on the Buiksloterweg ferry from behind Centraal Station. Other free museums include the City Archives, Multatuli Museum and the Hollandsche Schouwburg (Holocaust Memorial). The centre of Amsterdam is fairly low rise, so you won’t find any skyscrapers with views from up high. There are some good city viewpoints though, like from the top of the Openbare Bibliotheek (Public Library). It’s free to enter and there is a café and restaurant with an outdoor terrace. You can also get a drink with a view from the 11th floor bar in the DoubleTree hotel on Oosterdokstraat (open 11am–1am, or 3am on Friday/Saturday). Or across the city there’s the Hotel Okura which has a cocktail bar on its 23rd floor that’s open to non-residents (open 6pm–1am, or 2am on Friday/Saturday). There’s also Cafe Blue on top of the Kalvertoren shopping centre, with floor-to-ceiling windows and a 360 degree panoramic view. It’s normally open from 10am–6.30pm but stays open until 9pm on Thursday nights. If you’re self-catering, look out for branches of the Dirk van den Broek, Lidl or Aldi supermarkets for discount groceries. You can also pick up fresh food at Amsterdam’s markets. There’s the Albert Cuyp Market in De Pijp (from Monday to Saturday, 9.30am–5pm) or the weekly farmer’s markets which are held each Saturday at the Noordermarkt (9am–4pm), the Nieuwmarkt (9am–5pm) and the ZuiderMRKT (9.30am–5pm). For a budget breakfast, head to the HEMA department store where they do a 9am–10am breakfast deal where you get a croissant, bacon and egg baguette and tea or coffee for €2. And for a cheaper alternative to restaurants try an eetcafé, a kind of diner where they serve simple dishes at low prices. Or try some of Amsterdam’s street food – poffetjes (fluffy mini pancakes), stroopwafels (syrup waffles) or raw herring served with onions and pickles. There’s even a chain of fully automated 24-hour snack shops called FEBO. Amsterdam’s most famous beer export is Heineken, and you can take a tour of the Heineken Experience visitors centre for €21 (€18 if you book in advance online). Or for €6 you can do you can do a 20-minute tour of the Brouwerij ‘t IJ craft brewery, underneath the city’s tallest windmill. English tours run every Friday, Saturday and Sunday at 3.30pm and include a beer of your choice. For something a bit stronger, at the Wynand Fockink jenever distillery and bar you can taste their liqueurs before you buy (open 2pm-9pm daily). Amsterdam is a really walkable city, and you can pick up a map from the tourist office for €2.50. 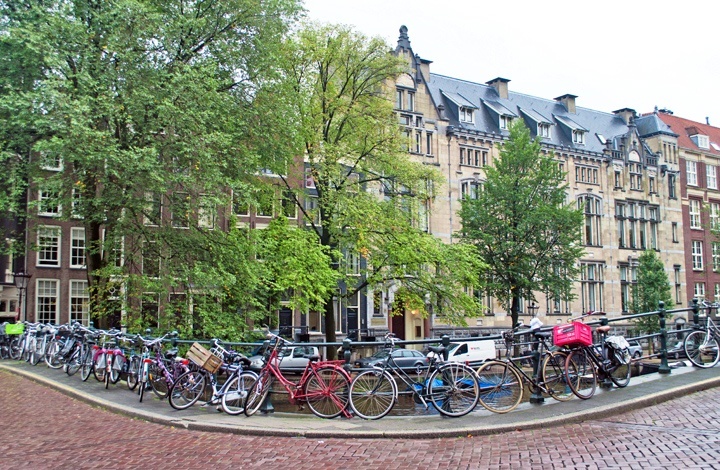 Or join the locals and get on your bike – somehow there are more bikes than people in Amsterdam. Bike rentals cost around €14.50 for 24 hours, but if you rent longer-term you get better rates (additional days cost around €8). If you have the I Amsterdam card you get a 25% discount on rentals from MacBike and Amsterbike. If you’re planning on using the trams or buses a lot, it’s worth investing in a public transport pass. GVB passes give you unlimited travel on trams, buses and the metro for varying periods which range from one day (€7.50) up to seven days (€34.50). Or there’s the Amsterdam Travel Ticket which includes train travel to and from Schipol Airport as well as unlimited public transport within the city (1-day €16, 2-day €21, 3-day €26). 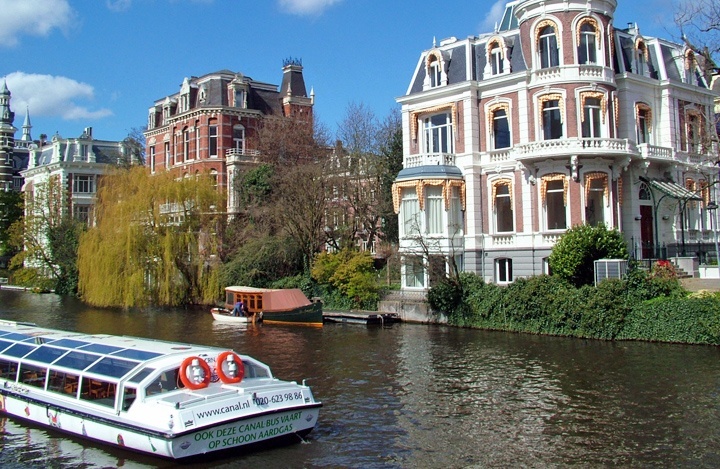 There are over 100km of canals surrounding Amsterdam, so one of the best ways to see the city is from the water. A standard 75-minute canal cruise costs €18 for adults and €8.50 for children aged 5–12. You can save €2 per adult/€1 per child by booking online or it’s free with the I Amsterdam card. Or you can take a free boat trip across the IJ, the stretch of water behind Centraal Station, to NDSM Wharf in Amsterdam Noord, a derelict shipyard turned creative community with galleries, sculptures and waterside bars and cafés. 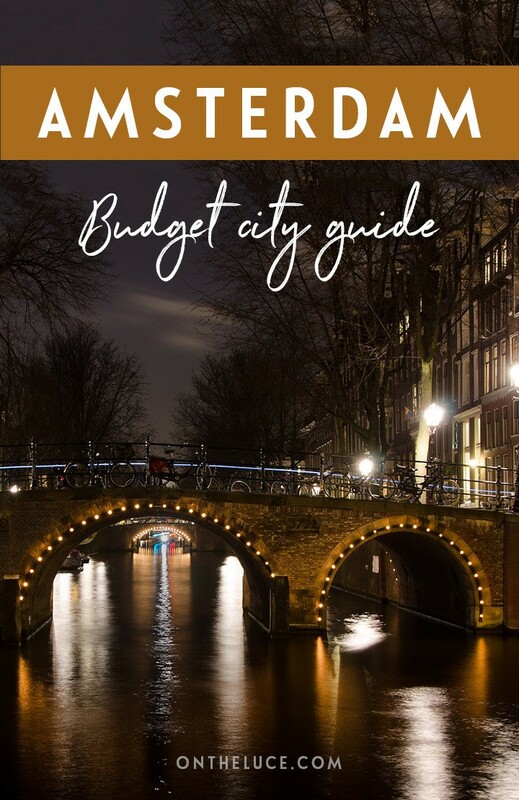 So those are my tips for seeing Amsterdam on a budget – do you know of any more Amsterdam bargains or have any money-saving tips? 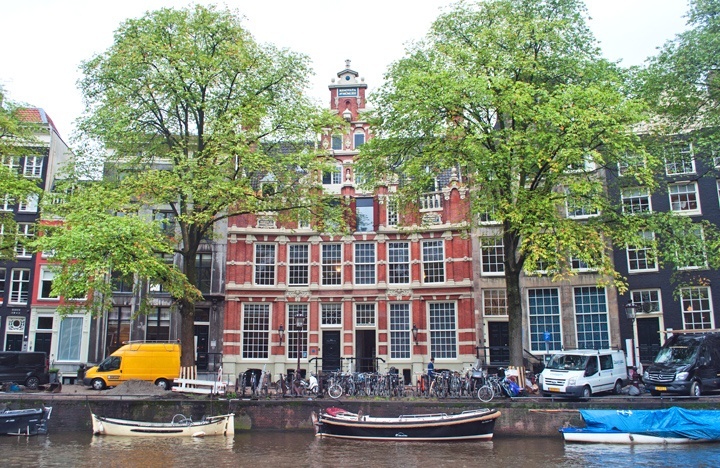 Looking for somewhere to stay in Amsterdam? Great guide, it made me miss Amsterdam a lot! I didn’t know about the cocktail bar so now I definitely have a reason to go back! 😀 I loved the view from the tower of Westerkerk and we had a very cool guide. Cocktail bars with great views are one of my favourite things to do in cities around the world! I recently started researching sky bars in each city I visit and I go there just for a drink (usually because they are so expensive, haha). Found some really cool ones, my favorite this year was the one I visited in Barcelona. Great Amsterdam guide! I now want to go back – obviously. Off to look at Easyjet now! Thanks Lucy! Thanks Sarah, hope it comes in useful – I’m hoping to go back again soon too, I’m determined to get some good weather out there at least once! Thanks so much, those canals really are pretty aren’t they? Particularly nice photos! 🙂 My photos there always look a little gray and dull. Thanks, it was a bit of a challenge as it drizzled with rain non-stop on my last trip (the last sunny pic was from the time before) – hopefully I’ll actually get some sunshine next time! I forgot how beautiful Amsterdam was! I visited when the first snow was falling in the end of November and could not get over how beautiful that made the canals. One of my favorite breakfast places was the Pancake Bakery – very good value for the amount of food they gave you. I bet it’s lovely in the snow (better than the rain for sure) – and thanks for the Pancake Bakery tip too! I stayed in Jordaan this time and it was a really good base – so pretty and really easy to get around too. Hopefully next time I’ll get some sun to go with it! Your budget guides are excellent, Lucy, and I’ll certainly refer back to this if and when. I remember using advice from your Paris one ( awful there- quite unbelievable! I came home from Lumiere in Durham to find it all over TV). 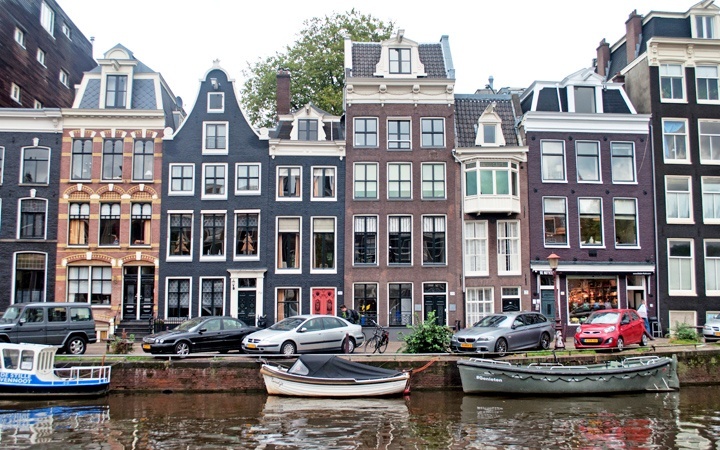 Amsterdam is so pretty – and lots to see too! Yes so awful about Paris, sending lots of love to the people of one my favourite cities. Till date I had simply heard about the beautiful place of Amsterdam. Thanks for your informative post now I know what all things to do when I plan to visit there. An apt guide to the adorable city, making one’s trip memorable. Thanks Anisha, hope it comes in useful one day, it’s a great city! Hope it comes in useful! I stayed in an AirBnB apartment rental on my last Amsterdam trip as hotels are pretty expensive. This was in the Jordaan district, really close to the canals and easy walking distance to the main sights (https://www.airbnb.co.uk/rooms/4939154). Would recommend the area even if this place isn’t available. Also if you’ve not used AirBnB before there is a link in the sidebar to give you $20 off. Happy travels! Nice Guide. There is also opportunities to get a cheap stay nowadays in Amsterdam which makes it even more attractive. Thanks, yes there are some really good deals in Amsterdam. I stayed in an apartment last time but there are some good hostels and plenty of hotels too. So glad you liked it – and enjoy Amsterdam! 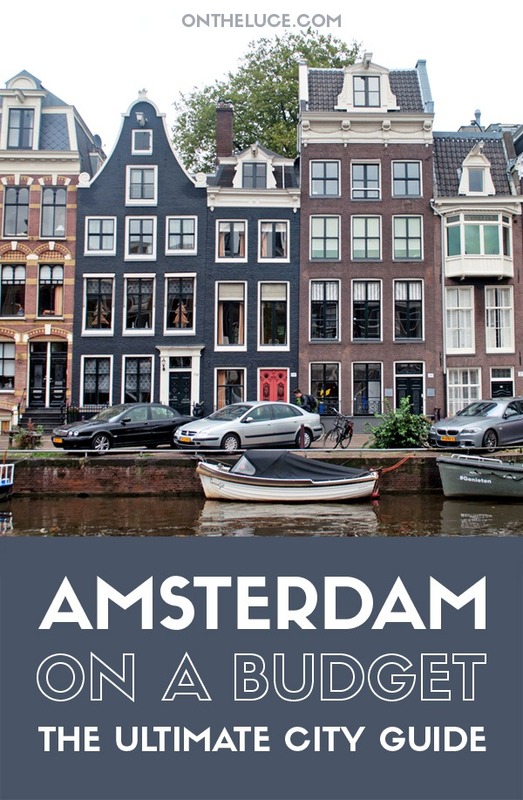 We’re off to Amsterdam on Monday and this guide is fantastic! We’ll be using this daily! 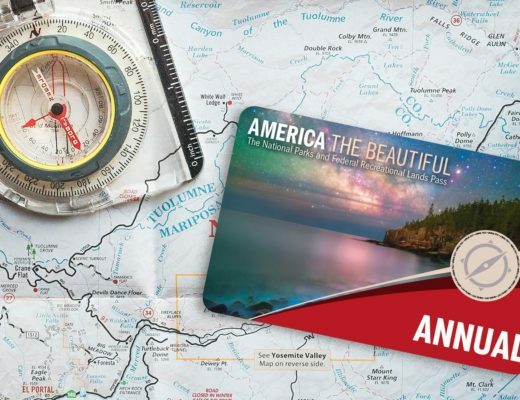 That’s great to hear – have an amazing trip! The streets, bikes, canals.. already drooling! A very helpful guide. Thank you – hope it comes in useful! 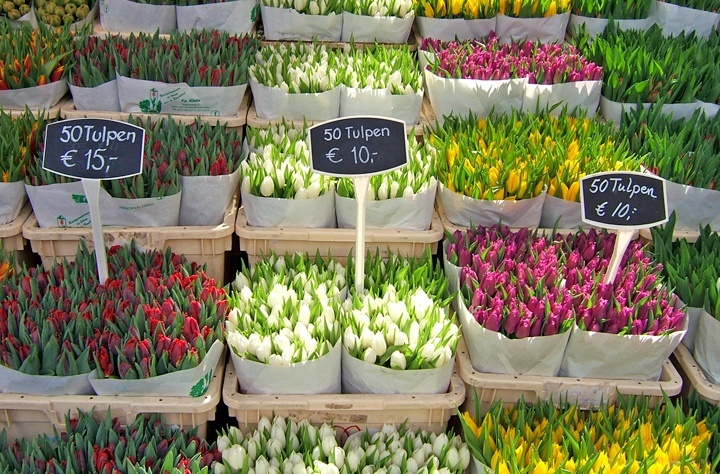 Hi, the market itself is open outside the spring/summer season but it’s mostly bulbs and a few other flowers, for the tulips you need to visit from around May. Amsterdam is a wonderful place for travelers. I’m happy whenever I see write ups about the place I am very familiar of. Your pictures are wonderful and this guide you created will definitely entice budget travelers to visit Amsterdam! Thanks Agness, great to hear that you like the article, it’s a fantastic city! Hi Sebastien, Amsterdam hotels can be quite expensive but I stayed in a very nice AirBnB apartment in Jordaan (there’s a review and link in this post: https://www.ontheluce.com/2016/08/25/airbnb-favourites-ii-berlin-amsterdam-annecy-hebrides/). I’ve also stayed in the Lloyd Hotel which is a little bit out of the centre but very cool and quirky and has rooms at lots of different price levels. Super late comment, but still a great blog post! Just a little addition: I think visiting Amsterdam the 4th/5th of May is also incredibly special, for anyone wondering when they might go. These two days are respectively the commemoration of everyone fallen in the second World War and the celebration of regaining liberty from the Germans. The entire country is silent on the 4th of May between 20:00 and 20:02; a really beautiful gesture! Thanks Mike, it’s a fab city! Really cool guide! Makes me miss my hometown. I would also add De Foodhallen to the list, really cool place to try different food, beers and just hang out. For people arriving by car, know that its very expensive! Come by public transport or try this website: http://www.freeparkingmapamsterdam.nl. It’s the only website I found that shows you free parking spots in Amsterdam. Thanks for the tips – will check them out when I’m back in Amsterdam (hopefully soon!). 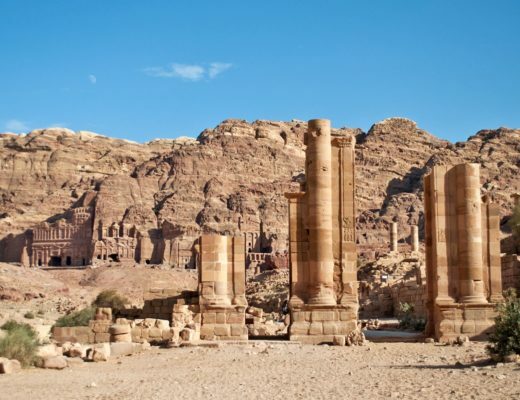 Though it doesn’t have towering structures like Barcelona or Paris, but this destination is truly intriguing. The city of waters is very much creative, walking along the Canal system is really a wonderful experience. Your post is helpful for everyone, not only budget minded travelers. Thanks, great to hear that is was useful! Great article about Amsterdam! I see that you also wrote about free walking tours. I wanted to make an suggestion on a new concept. There is a daily free food tour going on every morning from Dam Square. This tour works the same as the free walking tours (tip based). On this tour you will discover the culture of Amsterdam through delicious local food with some great stories on the history of the different places. The free food tour is the perfect blend of culture, food & fun! Make sure to join when you are back in Amsterdam! Thanks for the tip Bernardo – one to check out next time! Lucy, the blog is wonderful. My boyfriend and I are traveling to Amsterdam the last week in August for 8days. We are soooooo excited. We are having to stay at a airport hotel due to points. Your blog was a big help to plan. That’s great to hear – hope you both have a fantastic time! Great guide! I think is also good to get out of Amsterdam for a bit and discover other places. Like the windmills in Zaanse Schans. It is super easy to get there. Thanks for the suggestion – one to try out next time! Great article, thanks for the tips! A dynamic and vibrant cosmopolis, Amsterdam has much to offer. Thanks, yes it’s a fascinating place! Great article! I lived in Amsterdam for 6 years and loved it – it’s the perfect size of city to explore on a short trip too 🙂 . Did you make it out to Haarlem? That’s one of my favourite smaller towns to visit from Amsterdam (just 15 minutes away on the train) and a bit more chilled than central Amsterdam itself :-). 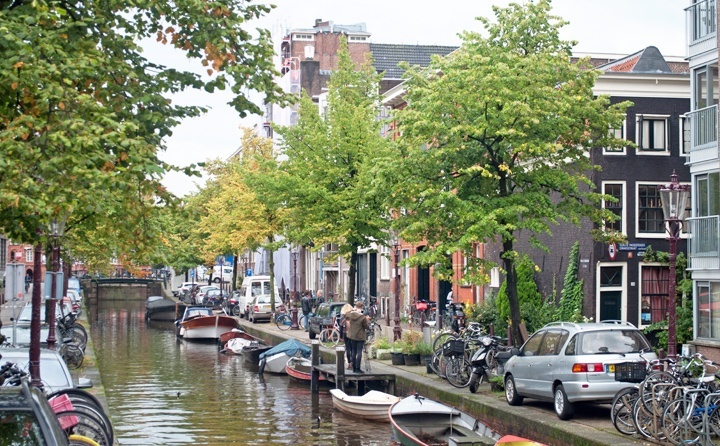 I’ve not been to Haarlem yet but it looks lovely – one for next time definitely! Thank you so much! you inspire me!